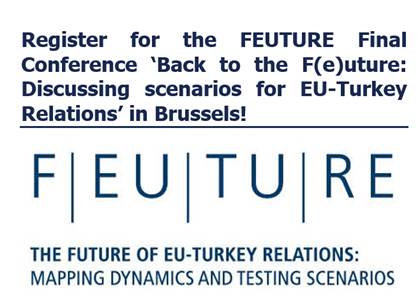 The Trans European Policy Studies Association (TEPSA) and the University of Cologne have the honour of inviting you to the FEUTURE Final Conference ‘Back to the F(e)uture: Discussing scenarios for EU-Turkey Relations’ on 28 February and 1 March 2019 at the Fondation Universitaire, Rue d’Egmont 11, Brussels. 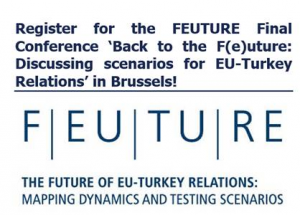 The conference is part of the project “FEUTURE – The Future of EU Turkey Relations: Mapping Dynamics and Testing Scenarios”, and will bring academics, political experts and government officials to Brussels. The main goal is to discuss the main findings of a 3-year research project that aimed to map the dynamics of EU-Turkey relations and draw future scenarios and policy recommendations on the relations between these political actors. For more information related to the project, please check the website of FEUTURE.